Welcome to Helicopter Life's new blog. 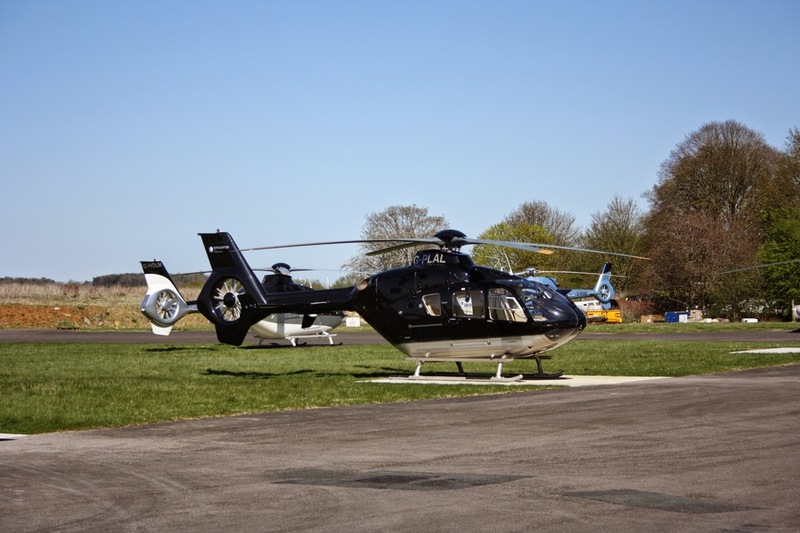 This blog is about helicopters, flying and why so many people enjoy it. The following books will available for sale on the Helicopter Life stand and will be signed by Captain Eric Winkle Brown. Day One at HeliEpox had some revelations, including the fact that Airbus is renaming all its Helicopters to keep it in line with their increasing corporate image. Thus the EC130 becomes the H130 and the EC145 becomes the H145. However, the EC120 becomes the H125: French logic? There was also the unveiling of the X4, now the H160... Yup, French logic! AgustaWestland has brought the AW609 to Orlando and the big news there is that production will be starting in Philadelphia and that Bristow Helicopters will be involved in an exclusive platform development for the tiltrotor including its development for oil and gas rig use. Bristow's new SAR contract is also starting in the UK on 1st April 2015, on behalf of the Maritime and Coastguard Agency (MCA). On the smaller side the Cabri has now sold 100 units, 14 in the UK and 14 in New Zealand, with many countries having a few and Germany being the new largest customer with eight. 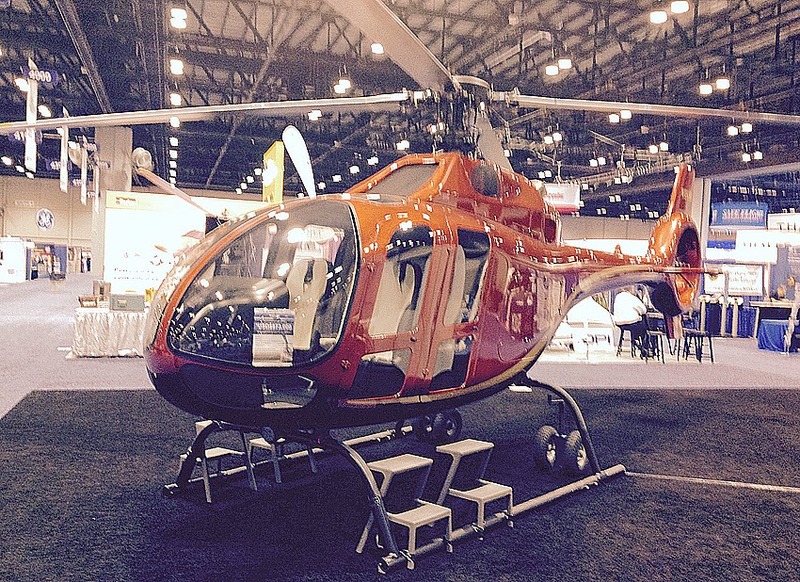 There are also some new helicopters developed by Composite Helicopters International. This is a company based in New Zealand, which used to specialise in HeliPods, and then decided to create a kit helicopter. Flying on an experimental basis they have now flown 260 hours, and have decided to become a manufacturer instead of a kit helicopter maker. In this they have support from the New Zealand government and are looking to get both NZ CAA certification and FAA certification, hopefully later this year. They will then make a production helicopter with a choice of engines from the RR300 to the Honeywell 101, for the larger model. 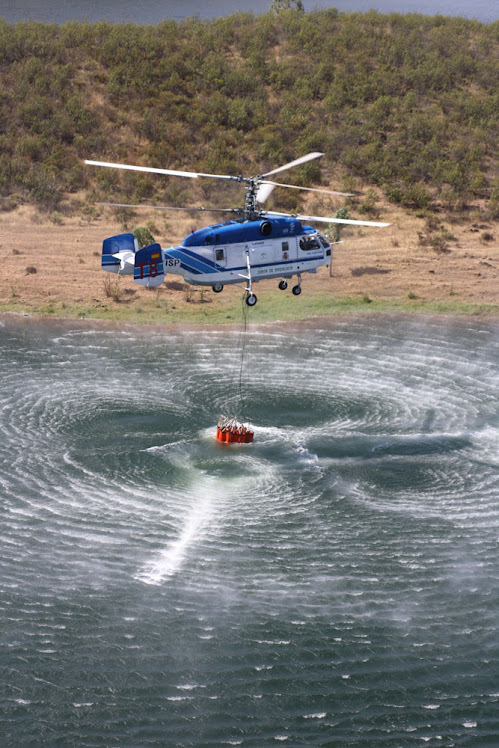 For all this and more see Helicopter Life magazine Spring issue, out in April 2015. 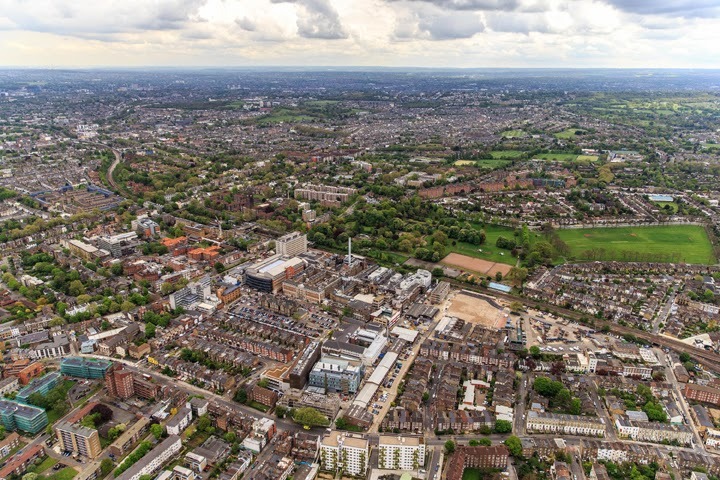 King College Hospital is opening a trauma centre to help with London's chronic need for emergency services and the fast transport of patients. They are also building a helipad on the roof of the hospital, until now ambulances have had to land at Ruskin Park, 25 minutes drive away (the green space in the picture). The new helipad will revolutionize the way patients get to the hospital: no speed bumps and directly into casualty. • The project will also provide direct lift access to the Emergency Department, CT scanner, and operating theatres, saving even more time and giving patients the best chance of survival. Greater London capable of landing one. • King’s is incredibly proud to have been selected as the designated centre for both Brands Hatch and Paris, which means we would treat critically injured people should there ever be major incidents. At HeliExpo, Guillaume Faury told the expectant group of journalists gathered in Paris, all will be revealed about the Airbus Helicopters X4 project, including its new name. Other than that, he would only say that there were already prototypes of the X4 built, and that it will fly in 2015. For everything else, he said, with a gleam in his eyes, you must wait until HeliExpo. So, we had to focus on the fact that 2014 was not a particularly good year for Airbus Helicopters deliveries but better than 2006. Yup, thanks to a good order book even the years since 2009 have been better than this last one, with its gently descending numbers. However, ever upbeat, the message was "steady results despite challenging market conditions." And, while they may have lost out a little in the military market they were really more interested in the commercial sector anyway. Ho hum. Slightly annoying that the oil and gas market is not as buoyant as it was, and that sanctions and the sliding rouble meant Russia was not the young girl's dream anymore, but at least the heavy market was doing better than it had. And, worth pointing this out, natch, there is more profit in a heavy twin than a light single. Besides, there will be old helicopters to replace, and even if there is a potential mansion tax and everywhere is looking to deplete the rich, and destroy their tax avoidance schemes, the rich still have assets, the traffic is still terrible all through Europe and helicopters are still the best way to get about. And don't forget HEMS. Airbus Helicopters has a virtual monopoly here and they are making must-have upgrades for all their machines. And don't forget Poland, Korea and Qatar...contracts.. It is fascinating work. The pilot flies with an observer, who has a laptop with a dedicated computer programme on which he can mark the faults and send them up to the server to be examined by the company managers. There can be as many as 50 faults on each electric pole, and there are also often problems caused by vandals and the unwary. For example, people try to shoot the insulators! Fishermen get their rods and lines caught in the wires, trees grow into the lines and swans and other birds accidentally fly into them... there is a lot of work to be done here. 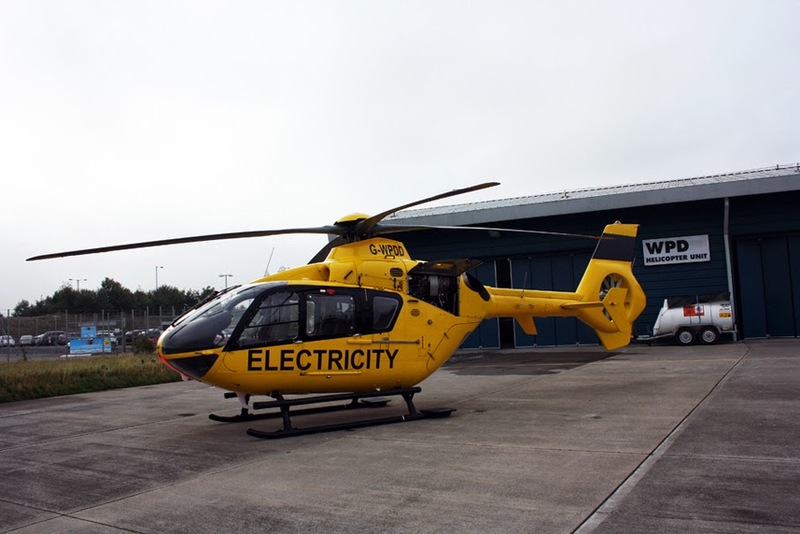 I had a fascinating day seeing how useful the EC135 is as a utility tool. It was so nimble and the flying was so much fun I (in the back) wanted to lean forward and ask for a 'go'! 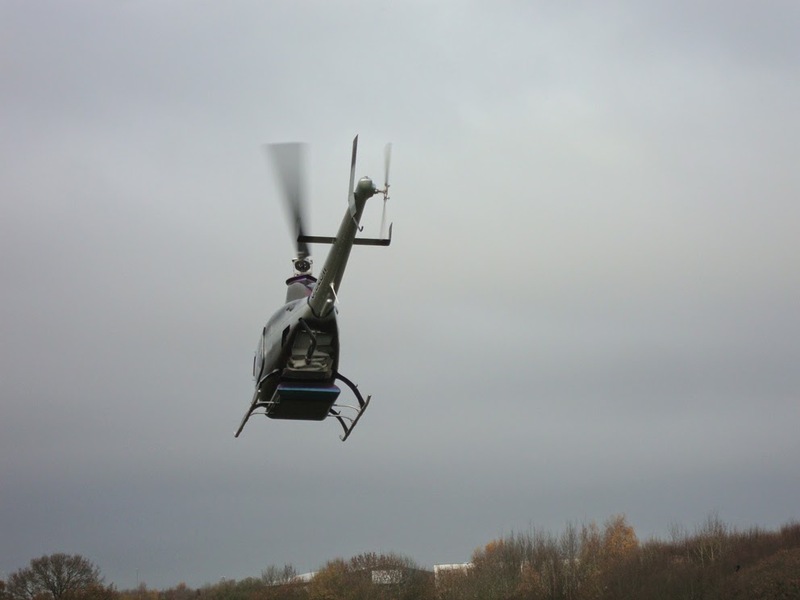 For more on the job of the electric cable pilots see the Autumn issue of Helicopter Life magazine. Flying the Rotorway gives one constant insight into flying on the edge. I was doing another test a few weeks later on a very hot day in July. The temperature at the farm was 30 degrees centigrade and the E162F was a slightly less powerful one, with a novice owner of some size. We had a very tight take-off, in a direction that was not into wind, but crosswind. We could not take off into wind because another Rotorway owner had parked his helicopter there making it risky for us. The novice owner tried to get far enough back in the field, but was hampered by a tree. He decided to go for a gap in the hedge. Unfortunately, before he started he ommitted to get his rpm up to the top of the green. We started our departure run, the rpm dropped further and it was quickly clear we were not getting much lift. As the rpm descend further, our only option was to keep the nose forward and fly the helicopter out using relative airflow to edge up our climb inch by inch. We got out ot the field, swooping past an orange coloured emergency life-raft which now features in my dreams. And, finally, we were free of the ground and able to lower the collective and bring the rpm back from the lowest position I have ever seen it. My little heart was racing! “Get your rpm up, or we are going to hit the hedge?” which is then interference in his flying skills, or do we let him make the mistake and nearly kill you? While academically this may be a dilemma, practically I feel everyone would give the same answer, assuming they did not have a death wish! Yesterday, I had an interesting example of how a little prior planning could have saved embarrassment. I went to do a 162F owner's test. When I arrived at Street Farm the helicopter was already there, although the pilot was to arrive later, brought up by a friend and delayed by M25 traffic. This is probably an important factor, since, although he thought he had brought everything necessary for the test ie log book, licence, medical etc he actually forgot to bring the second collective for his machine. This being a test, and as he was anyway not current, I could not fly without the collective, so, this would have been a disaster had the Bull Brothers not once more saved the day. We were able to use a collective from another machine... luckily it fitted, and this luckily should be underlined, since, as Rotorways are 'hand-made,' the parts are not always interchangeable. The collective in and we were ready to go... flat battery. 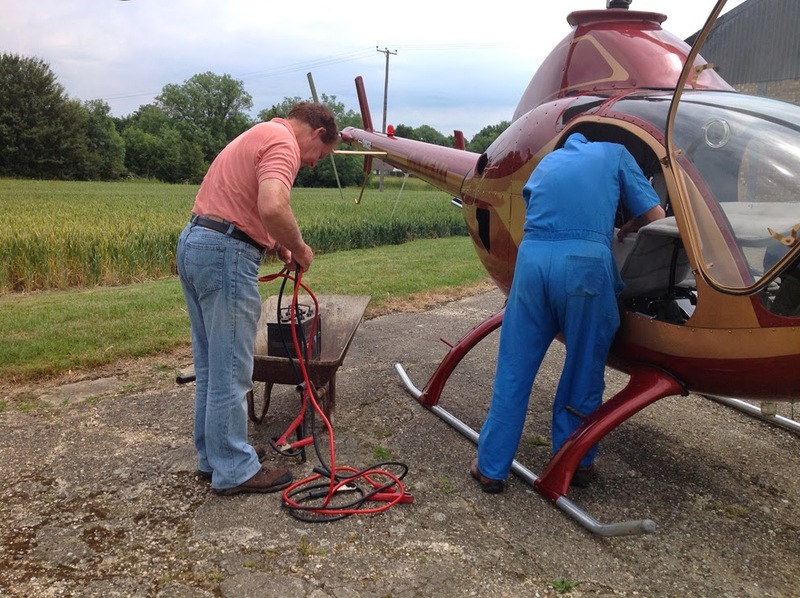 Rotorway pilots know just how important a battery is in the Rotorway machines. The engine runs directly from the battery, there is no intervening magneto etc to help. However, we were able to jump start the battery. This is not an easy matter in the 162F as the battery is behind the passenger seat, and hence external starts are not as easy as they are in full-grown machines. But yet again the brothers were marvellous, having everything we needed. Once the leads were in place the battery started easily and we were soon good to go. The pilot flew extremely well, and there was no need to fail him, but I think he will remember this test for a while.